Moscow court ruled out the decision to ban messaging app Telegram in the favour of the Russian government, in the same manner, it ruled against LinkedIn in 2016 for the reason that the government appealed against messenger for not sharing user’s data with its Federal Security Service (FSB). The decision will have an effect on over million users across the country. Roskomnadzor, Russian’s Telecommunication Watchdog filed the case against the firm after Telegram has refused to comply with the demands to share user data, justifying respect for user privacy. It took the court just 18 minutes of the hearing, a day after the scheduling. In protest to hurried process, Telegram ordered its Lawyers to skip the hearing. Federal Security Service has demanded to access those messages for safeguarding national security against terrorist attacks. Russia enforced a strict anti-terrorism act in 2016 requiring messenger service to share the encryption key with national security agencies. The telegram was challenging these rules and denied this service. Although the company claims it doesn’t have those keys because it uses end-to-end encryption, where users have the keys to their own secret messages. How immediate is the ban? However, Services are not stopped yet, as government agencies also use the messenger, including by President Vladimir V. Putin’s press office. Kremlin spokesman, Dmitri S. Peskov said his office would switch to an alternative app as soon as Telegram’s services stop. The ban will likely take place once Telegram has exhausted the appeals process over the next month under the right to appeal. 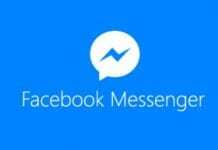 But users will still be able to use the messenger by using VPNs to bypass the technical ban. But do not forget to update your app time to time. Although, if you are a user of Facebook messenger read this.